Truth be told I always saw flower arragements in magazines and thought it would be very expensive and time consuming but I wanted to try it once…so I did. 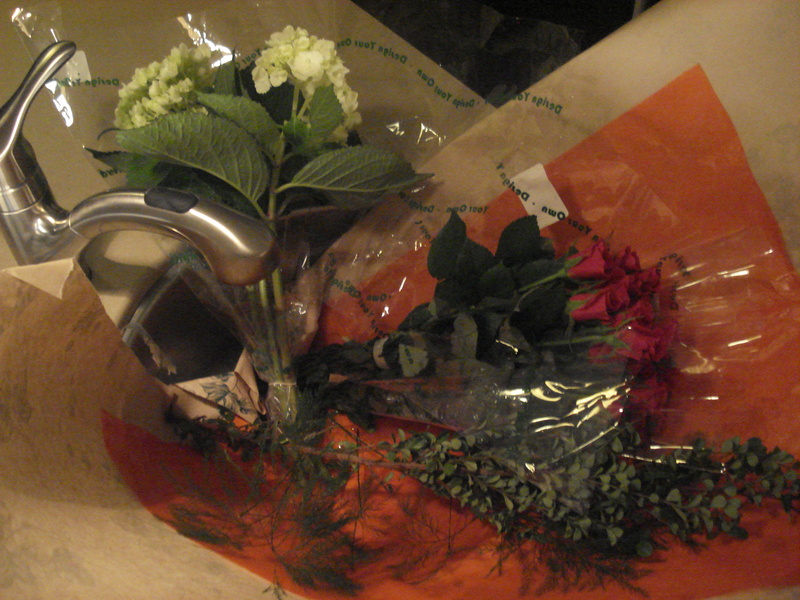 I went out to a local flower shop and purchase a foam cube which is used by flower decorators to arrange flowers. I got two small bouquets of roses and hydragas and some green fillers for approx $12 and the cube cost $2, so for $14 dollars I was able to make three arrangements as well as a large vase to place of my island as an accent. 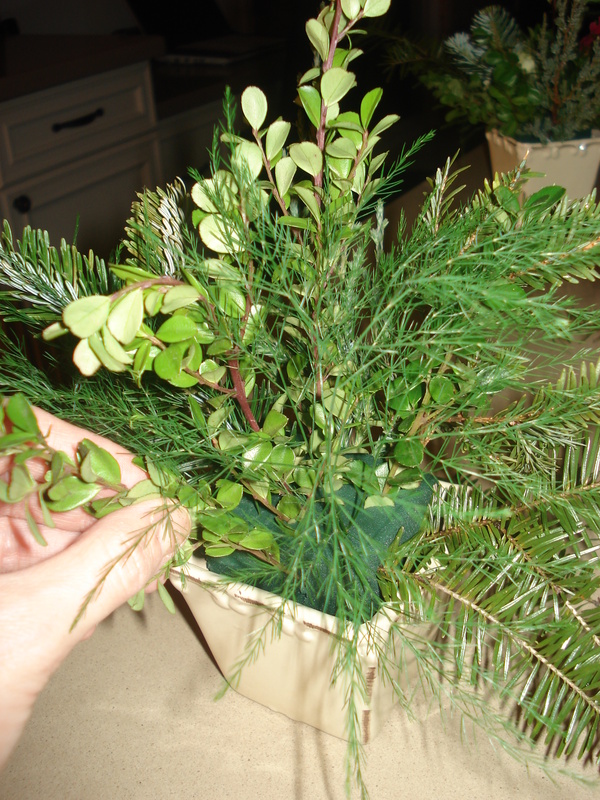 I went out into my backyard and cut off more greens from some evergreen shrubs and bushes to have a more filler which cost me nothing! I found 3 small square vases and cut the cubes to fit. (You can use any old bowl, jar, or vase) I let the cubes sit in the sink to absorb water for about 20 minutes, once they were fully saturated I placed them in the vases and began to decorate them. 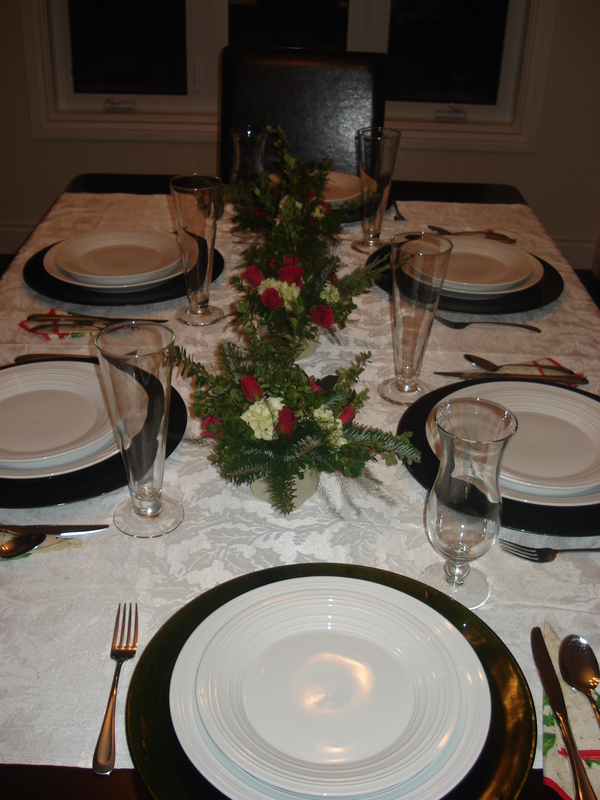 I started off with all the greens and filled each vase with the height and fullness that I wanted. Then I added the roses and hydragas to complete the vases. It took me all of 10 minutes and I AM NOT A FLOWER GURU! 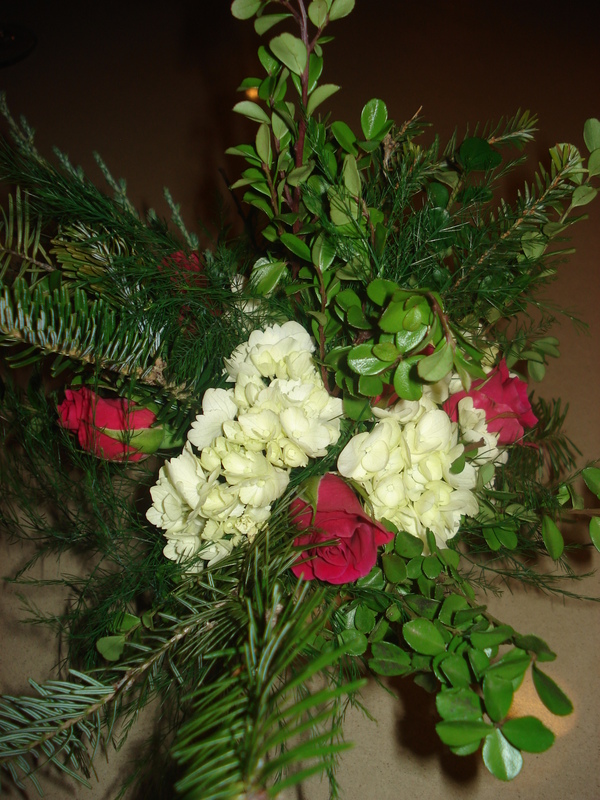 They turned out amazing and it was much cheaper than purchasing a large pre-arranged bouquet. 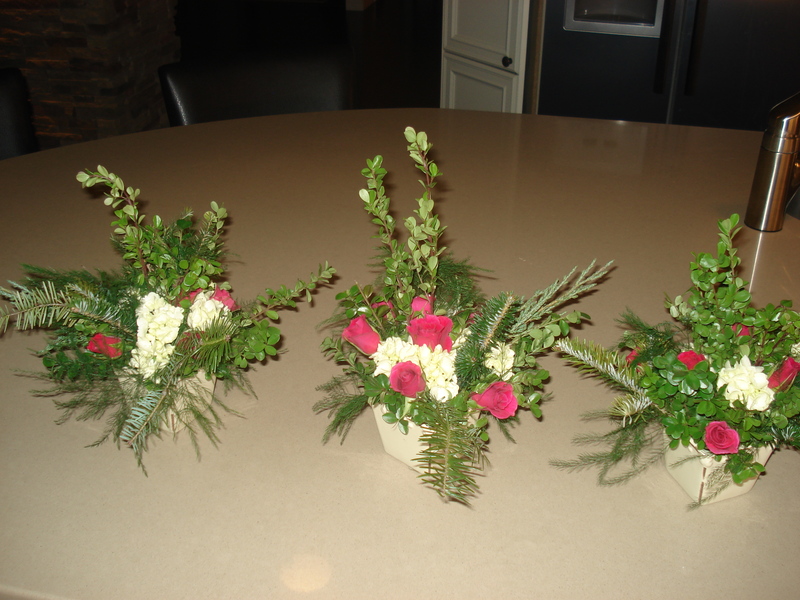 It has been So simple and beautiful that now I get on-sale cut flower and make my own arragements. I put one on my island in the kitchen and one in the bathroom, it freshens things up and it LASTS for weeks! All you need to do is water the base and it will soak it up and keep watering the flowers. I would encourage you to try it for yourself and see what you think, if you like flowers as much as I do I’m sure you’ll be blessed! May you experience rest and joy in your home today. May the peace of God guard your heart and may His joy be your strength! 1. They can be moved and will not spread all throughout your garden. 2. There berries will not rot because they are sitting in wet soil. 4. You can take them indoors in the winter and enjoy the fruit despite the cold temperatures. 6. They are a great decoration for your deck/outdoor area! Not only did I decide that this is a good idea for growing strawberries but I also purchased an upside down planter for tomatoes. It too has been thriving. You water it from the top and the plant basically grows upside down. I absolutely love it. Another advantage with tomatoes is that they will not rot in this kind of planter because it is off the ground. I often find that the fruit on tomato and strawberry plants will rot easily because they are so heavy and the fruit ends up sitting in the soil and getting eaten by buds. Yuck! So my simple solution is hanging up the plants. Try it and let me know what results you get, also feel free to ask questions! Happy gardening!